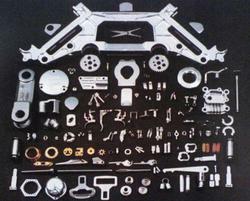 We are doing Surface finish of any kind in Coimbatore, Tamilnadu, India. WE OFFER SERVICES FOR CLEANING SURFACES TO REMOVE OIL, GREASE, DUST, CORRESSION, ETC. STAINS ON THE INTERNAL ROOF/CANOPY ETC. THE SURFACE IS CLEANED TO 95%, WITHOUT DAMAGING THE TEXTURE, PAINT OF THE SURFACE. WE ARE CLEANING THE SURFACE WITH COCONUT OIL BASED CHEMICALS. WE ARE DOING ALL TYPE OF SURFACE PREPARATION AND COATING JOB. We are the foremost company for providing ITP Preparation Service to the clients. Offered service is rendered using ultra modern techniques. ITP Preparation Service is rendered by our proficient personnel, who ensure to comprehend and meet the diverse requirements of respectable clients while execution. Surface Preparation and Coating (SPC) includes dehumidification during coating, painting and fabrication. 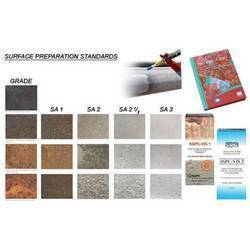 I have knowledge of surface pre treatment as per base which customer use. 3. Surface clean by cleaning thinner. Thinner use ipa. So oil can easily dissolve by use cleaning thinner. Danem Oilfield & Energy Inc. The surface on the part to be tested is thoroughly cleaned to remove dirt. Our company is highly esteemed in providing Surface Preparation Service. With rich industry experience, we are offering a large collection of Acrylic Solid Surface Finishing Works to our valued clients. We are offering these finishing work services in different options to suit the varied needs of our clients. Also, these are offered at very reasonable rates.